At Divine Designs we care about your hair! Aside from getting your hair cut and treated from our experienced stylists, we want to make sure your hair looks great every day. Enjoy all of these tips for healthier hair. More heavenly hair beauty blog posts are coming soon! Nearly 33% of women who have changed their washing habits in the last 12 months say that worrying about damage as one of the top reasons, so how often should you be shampooing? Well, industry experts argue that less is more. “Over-washing can be damaging for your hair, especially if it is bleached, colored, has been chemically treated or is naturally very dry or porous,” says Steve Rowbottom, co-director of Westrow, via email. “When you wash your hair every day it strips away the natural oils and proteins that you need to keep your hair and scalp healthy, so try to limit hair washing to three times a week if you can.” But it does depend on your hair type. “The curlier your hair is, the longer you can go between washes,” explains dermatologist Dr. Doris Day. If you have thick, coarse, curly hair, pick a shampoo that hydrates as it cleanses. It’s also sulfate free, so won’t strip your color. It will look amazing on your social media status updates! “The finer and straighter your hair is, the faster the oil wicks down,” says Steve, “so that can make it oilier faster. If you have super straight hair, you may not be able to go more than two days without washing.” If you have fine, straight hair, pick a gentle shampoo like Bumble and Bumble’s Gentle Shampoo, $20, which is super-kind on strands. If you color your hair regularly then it’s best to avoid washing your hair every day to keep your color from fading and your strands from becoming parched. The same applied for just-dyed lengths. “Leave your hair for at least 72 hours after a color appointment before washing it again,” says beauty blogger Kamila Pruszek. “It can take up to three days for the hair cuticle to fully close, trapping in the color molecules. If you wash your hair before the cuticle has closed, you risk disrupting the freshly applied color and your gorgeous new hue is likely to fade.” When you do eventually wash your hair, avoid shampoos that contain sulphates and silicones. Sulphates can strip the color, while silicones leave behind residue that can leave your new color looking dull. Stylist recommends Pureology’s Hydrate Color Care Shampoo, $18.50, which cleanses from root to tip without stripping your strands of colour and Moroccanoil’s Hydrating Shampoo, $19.95, to eradicate build up and nourish porous lengths. Afro and Caribbean hair can get very dry because of its unique texture, which also makes it incredibly fragile. Most hairdressers comment that the issues they see with this type of hair are from a build-up of debris on the scalp and damage caused by detangling. KeraCare Hydrating Detangling Shampoo, $5, is specifically designed to put moisture and bonds back in your hair. Remember, dry shampoo is your friend “If you’re prone to greasy hair, then use a little dry shampoo in between washes to soak up excess oil,” advises Steve. 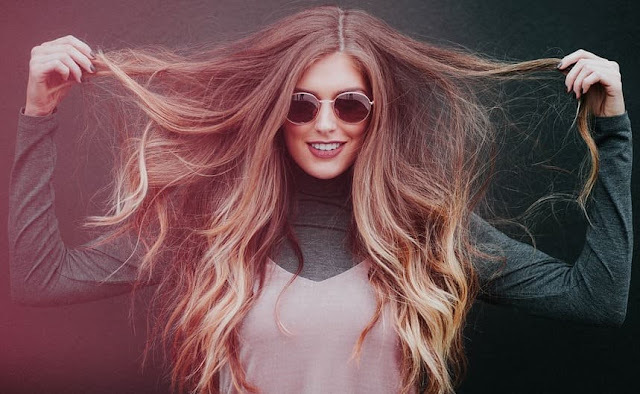 “But try and avoid becoming too reliant on dry shampoo as it can cause build-up on the scalp and clog hair follicles, which can impede hair growth. If you really struggle to avoid frequent washing then remember that certain styles work better – and look better – on hair that isn’t freshly washed. Braids, bedhead buns and twisted topknots are all great looks for those in-between wash days.” Shop the next-generation dry shampoos doing so much more than banishing oily roots. Take these tips into account to make sure your hair is healthy and beautiful! Make sure to schedule your haircut today at Divine Designs! Interested in more high-quality content for your beauty and fashion website or blog? Hire Bootstrap Business professional blogger outreach service providers to improve your company's SEO efforts.